Home > Blog > Does Having Your Own Online Payment Solution Make a Difference? Does Having Your Own Online Payment Solution Make a Difference? Every business today needs to be able to accept online payments. Whether you are retail, offer a service, or B2B, and no matter what size or scale your business is, your customers will want to be able to make quick, easy payments online—and if you make this difficult for them, they will not remain your customers for long. 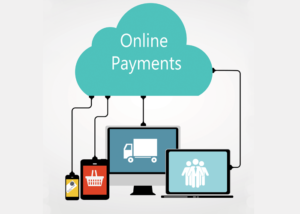 Luckily, there are plenty of online payment solutions available today, but not all of them are created equal. And that raises a crucial question: should you pay to get your own custom payment solution, or take one of the “free” out-of-the-box solutions? The difference here is crucial. There are several major payment platforms that are free to sign up for, and which most businesses are familiar with. But these platforms still take fees out for every transaction, and many would say you’re better off paying a small fee for an online payment solution that is customized just for your business—one that will meet all of your needs. So does it make a difference? Which is the better way to go? Generally speaking, the custom payment solutions do offer you more—and they can save you money. Many businesses that have tried out a seemingly free payment platform decide sooner or later that it doesn’t do everything they need it to do, or that it isn’t as cost-effective as they thought, and they find a vendor to handle their payment solutions for them. It costs less per-transaction – Although some online payment services advertise themselves as “free,” that just means free to sign up. They will still charge a fee on every transaction you have, and it’s usually a percentage—and a steep one. That means that as your business grows, you see more and more revenue being gobbled up. Paying for a professional payment solution might cost a little up front or on a monthly basis, but it’s more than worth it when you see transaction fees falling to a minimum. You get more out of it – Professional payment solutions are aimed at the B2B market, and the vendors strive to make platforms that are as robust and useful as possible. You typically get more features and functionality, like easy recurring payments and fraud mitigation. Better customer service – With a paid payment platform, YOU are the customer, and the vendor is loyal to your business. They will provide you with attentive customer service and help you quickly resolve any problem you encounter. While every business will need to make its own choice, in most cases we’d recommend getting the best online payment solution available—one that will be customized to your business.